Amnesty International’s annual report on the state of human rights in the world includes the imprisonment of Catalan leaders for pursuing independence, as well as the use of violence by Spanish police officers trying to stop the referendum on independence last October. “The rights to freedom of expression and peaceful assembly of Catalan independence supporters were disproportionately restricted,” reads the report, which adds that “law enforcement officials used excessive force against demonstrators peacefully resisting” the enforcement of a court ruling to stop the referendum. "The rights to freedom of expression and peaceful assembly of Catalan independence supporters were disproportionally restricted"
The report’s chapter on Spain also includes torture, the failure to protect refugees’ and migrants’ rights, the disproportionate use of counter-terror legislation, and violence against women, among others. Spanish authorities have repeatedly dismissed all claims of police brutality, and stress that the intervention was proportionate. On Thursday, the police colonel responsible for the operation on October 1, Diego Pérez de los Cobos, said in court that there were no police charges, and that all actions were intended at enforcing judicial instructions. Although there are currently four pro-independence leaders in jail, the report only includes the case of Jordi Sànchez and Jordi Cuixart, two grassroots activists who entered jail on October 16. 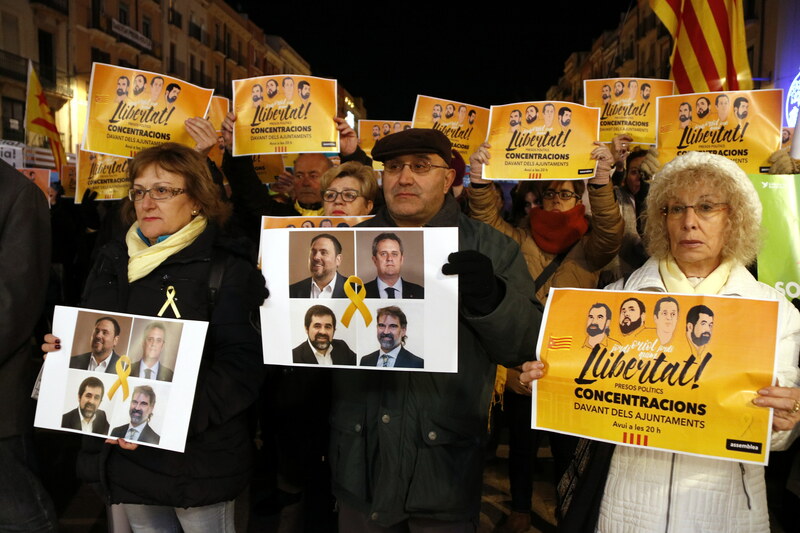 Vice president Oriol Junqueras and home affairs minister Joaquim Forn were preemptively imprisoned on November 2. According to the report, Sànchez and Cuixart were “were detained and charged with sedition, a broadly defined offence, in connection with protests they organized in Barcelona on 20 and 21 September to, according to the judge, oppose a lawful operation.” The Supreme Court subsequently took over the case and charged them with the crime rebellion, carrying up to 30 years prison sentences.